Joseph Toto brings to The Leader’s Edge/Leaders By Design forty years of broad-based human resources experience in management, consulting and leadership development and coaching with global organizations such as Unisys, Betz-Dearborn (now part of Ashland), Rhone Poulenc (now Sanofi-Aventis), Roche Pharmaceuticals and BD (Becton, Dickinson and Company). In 2011, Joe was named a Senior Fellow in Human Capital by The Conference Board. Joe is the former Director of Leadership Development and Learning at BD (Becton, Dickinson and Company) in Franklin Lakes, New Jersey. At BD, he also served as the Global Process Owner for the company’s Performance Management Process, Associate Engagement, and its Executive Coaching Development 360 process and was an active practitioner in leadership training and coaching. Joe also led the Operations and staff of BDU University that spanned globally to reach over 12,000 participants in 400 sessions on an annual basis and won an ASTD Best Award for its Leaders as Teachers approach. Joe led the College of Business Skills and Operational Effectiveness within BDU University when it was first launched. Joe joined BD after serving as the Chief Development Officer and Director of Organizational Effectiveness and Development at Hoffmann-La Roche. Joe has been asked to coach and consult for a wide spectrum of companies. 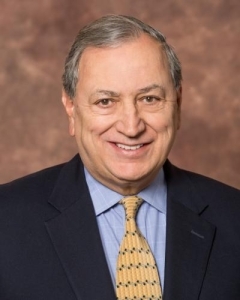 In addition to his Pharmaceutical, Medical Device and Healthcare experience, Joe has developed and delivered talent and business solutions to diverse sectors including Banking/Finance, Utility/Energy, and Manufacturing. These span small to Fortune 100 and Fortune 500 companies. Among Joe’s numerous speaking engagements are the Conference Board in 1999 at the Strategic Learning Conference sponsored by Columbia University Business School, the 2003 Conference Board Leadership Development Conference and the International ASTD Conference in 2008. In 2001, Joe received the Distinguished Executive Fellow Award from the Center of Human Resource Management Studies at Fairleigh Dickinson University. Joe’s article on “Peer Coaching” was published in the April, 2006, issue of the Training and Development Journal. Joe holds a Master’s degree in Education and Counseling Psychology from Temple University. He is certified in a number of assessments including Hogan, Essi’s EQ and Resiliency Maps, MBTI, DiSC, DDI and CCL, among others.